Following a first round held in the Paradiso in August, this second session started with a short film of the first round pitches, followed by the best five companies attempting to prove their relevance and why they should be taken seriously. The judges included representatives of the tech sector, venture capitalists and last year’s winner Muzooka. 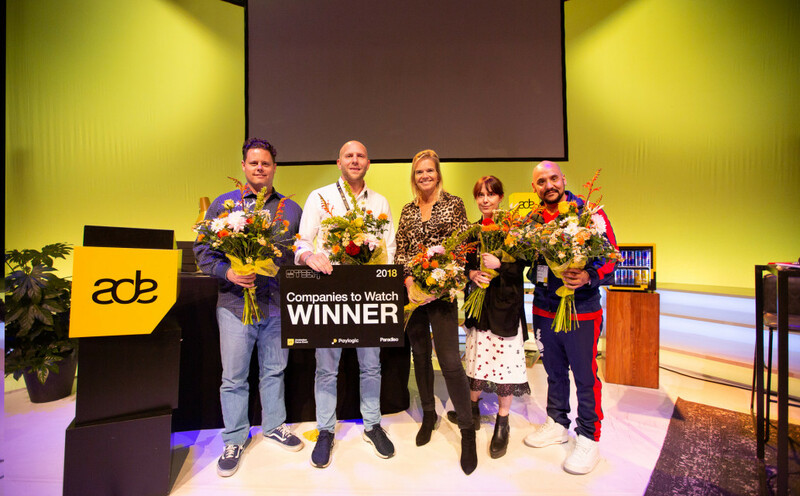 After our recent updates about the first round of the Companies to Watch competition and the ten reasons not to miss ADE with more info about C2W, we are proud to present this year's winner during ADE Tech 2018. Under the watchful eye of the three-member jury, the four companies - Amuse, MXX Audition Pro, Pacemaker and Seeqnc - had to prove their relevance and why they should be taken seriously. The jury consisted of the founding partner of Peak Capital Heleen Dura - van Oord, founder of Grassrootmusic Polo Molina, and winner of last year's C2W and founder & CEO of Muzooka Shawn Wilson. More info about the participating companies can be found here and here. The winner of Companies 2 Watch this year is Amuse, the startup that positions itself as the future of labels. We will be following the company’s progress closely over the next 12 months and bringing you regular quarterly updates about Amuse’s progress. Amuse was founded in 2015 by music industry executives with a collective ambition to re-imagine how artists break through and how labels are run. Amuse built a record company on top of a music distributor, offering free music distribution to everyone, where artists keep 100% of their royalties while still owning all of their rights. With the help of a user-friendly and transparent interface, artists can track their progress daily and see how people listen and download. Companies to Watch is part of ADE Tech, the sub-conference featuring emerging hardware and software which showcases some of the brightest minds of our generation, presented by Paylogic.